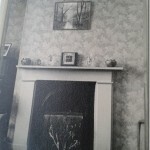 Posted 28 October 2013 & filed under 1960s, Oral history, Places and spaces, Railways, Valerie Robertson, Work, World War 2. 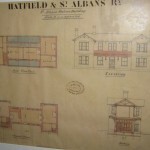 In 1865, a six mile single-track branch line from St Albans to Hatfield originally run by the Hatfield and St Albans Railway Company was opened. 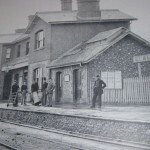 The line terminated at London Road and was first called St Albans GNR and then St Albans LNER. In 1883, the company was absorbed by the Great Northern Railway. 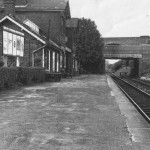 In 1923, the line was extended to link up with the London and North West Railway at the Abbey Station. 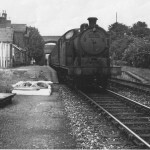 Both companies were nationalised in 1948 along with all the other rail companies, and in July 1950, following nationalisation, St Albans LNER station became St Albans London Road. 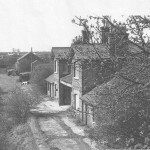 The station closed following the closure of the St Albans to Hatfield line in 1969. 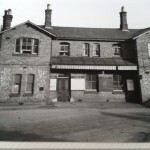 The London Road station building, still standing in what is now Orient Close, can be seen when walking along the Alban Way. 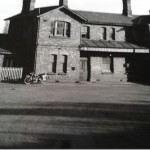 As a child, Valerie Robertson lived in the station during the war years. 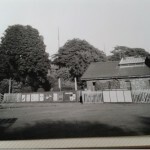 In 2010 she wrote down her story as part of the St Luke’s Sharing Stories project. With kind permission from her family, her story has been digitally recorded by Sandy Norman.